Version 7.0 of the photo app will enable you to search by location, and see what's trending in pictures across the world. 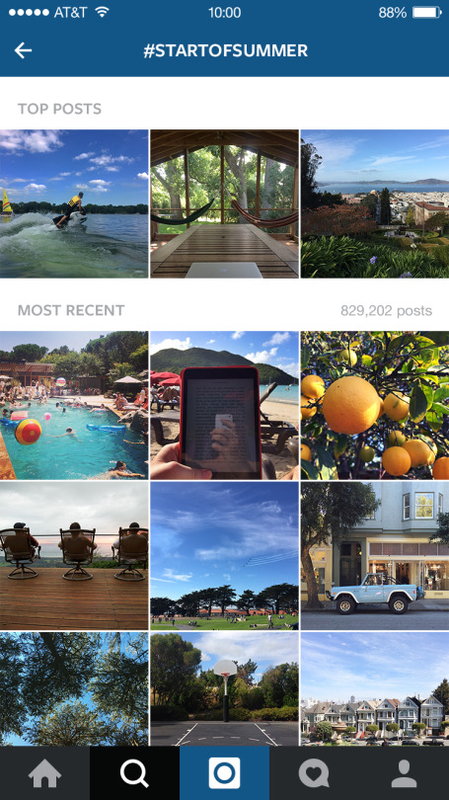 For those of you who like to use Instagram for more than just posting pictures, your user experience is about to become a LOT more friendly. In a new blog post today, Instagram have revealed that the latest version of their app features two major updates that will mean an all-new, all-improved Search system. "With more than 70 million photos and videos posted to Instagram every day, wherever something is happening, chances are you can see it here," they proudly claim about the popularity of their service. "But, until now, there’s never been an easy way to find these moments." At the moment, the app's "Search" tab only allows you to browse for either people or hashtags with a keyword, with a page full of recommended photos based on who you already follow. 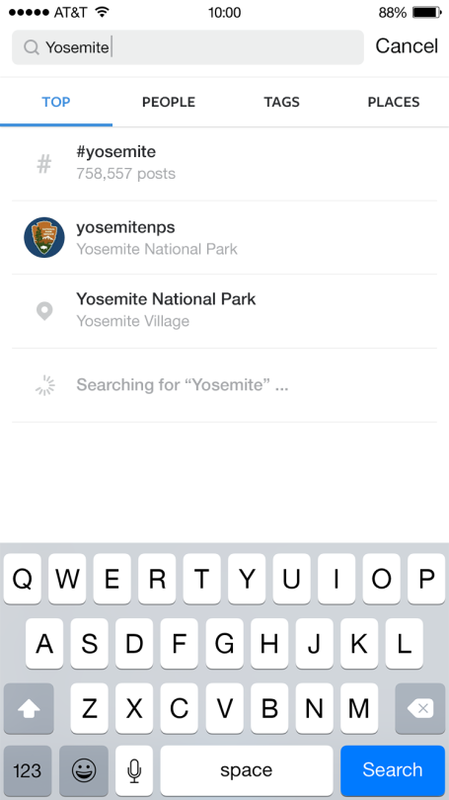 But version 7.0 of Instagram will also allow you to not only search by place, and see what's happening in a specific location; but will also feature a "Top" category, that allows you to browse through places, tags and people all at once. The new location-based search means that users can now "peer in at just about any location on earth, allowing you to scout out your next vacation spot in the South Pacific, get a look inside that hot new restaurant or experience your favorite music festival — even if you couldn’t make it this year". 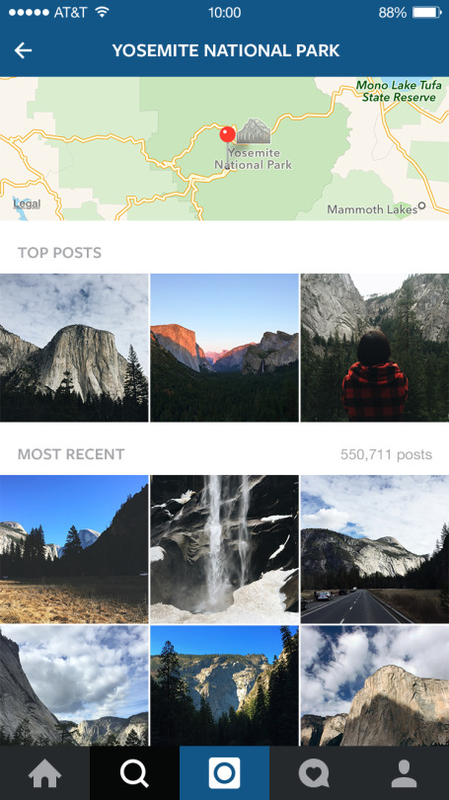 On top of this, Instagram users in the United States will currently have access to a whole new and improved version of the Explore tab. Any trends in the app will appear as they start to build in real-time, allowing users (again, just in the US right now) to stay informed of any major new trends happening across the world. 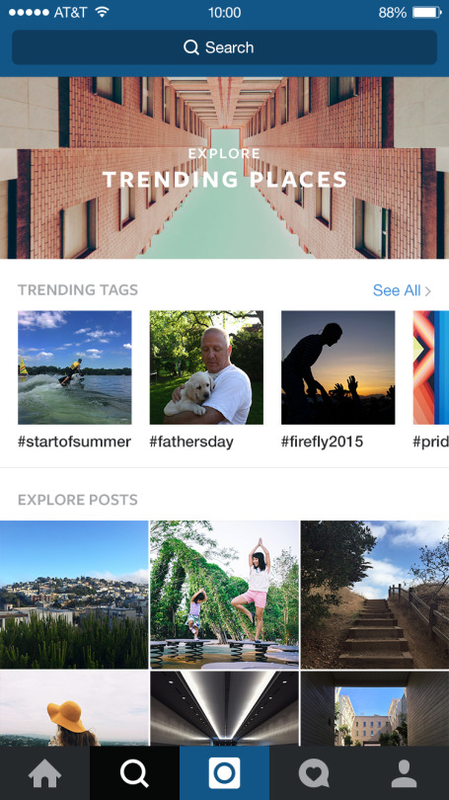 "Through trending Tags and trending Places, you can experience moments like #bonnaroo or #fathersday from every perspective," explains Instagram. 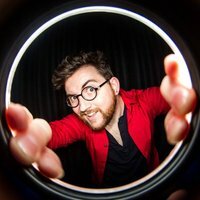 "Rich visual content captures everyone’s unique take — not just what the community is talking about, but also what they’re doing and seeing." Thanks to this update, your Glastonbury selfies this weekend have the chance of being seen by millions. You might want to start practicing your best faces. The update is already available on the App Store and Google Play, and you can read Instagram's full post on the update here.